A fire in a 100-year-old building in New York City’s Bronx borough Thursday evening has left at least 12 dead and numerous people injured, according to Mayor Bill de Blasio. It is said to have been the deadliest fire in New York City in more than 25 years. According to the New York Times, the mayor said in a news conference that four people were critically injured and two others suffered non-life-threatening injuries in the fire that engulfed the five-story apartment building. 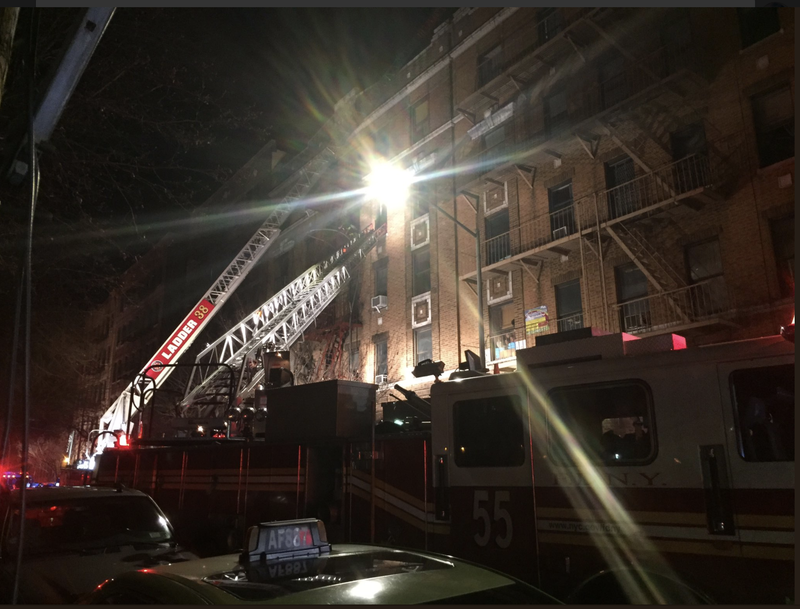 The New York City Fire Department received a call about the fire at 6:51 p.m. and responded within three minutes. More than 160 firefighters were on hand to tackle what turned into a four-alarm blaze within an hour after it started. The cause of the fire is not clear. According to the Times, this is the deadliest fire in the city since the 1990 fire at the Happy Land social club, which killed 87 people. In 2007, 10 people were killed when an overheated space-heater cord caused a fire in a four-story Bronx apartment building.